An urn contains lotto tickets numbered 1 to 100. You play the game by paying a fee. The rules of the game are as follows, you need to draw two tickets, you are paid the value of the lower number of the tickets. What is the typical amount won in this game? 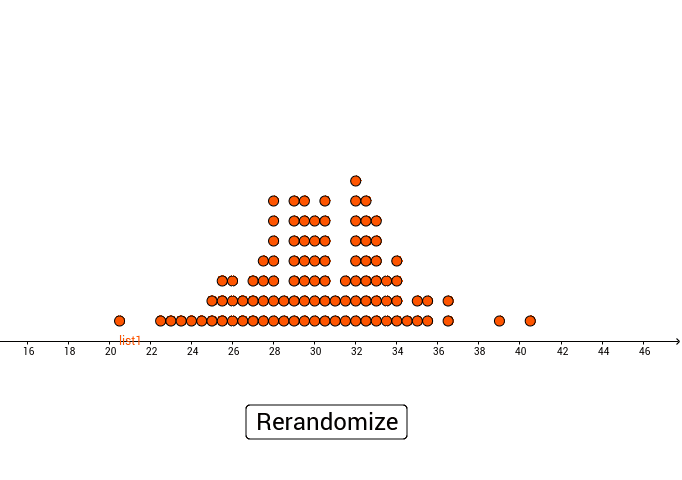 Each dot represents the smaller of the two ticket values. There are 500 trials in the simulation. The mean is shown below the number line. 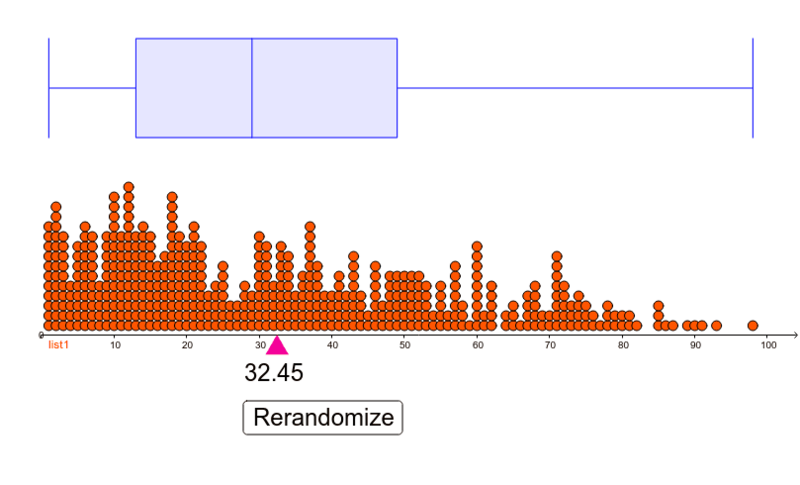 In the applet below, ran the simulation above 100 times and captured the median value of each trial. TURKEY(Kayseri): logarithmic and exponential function.